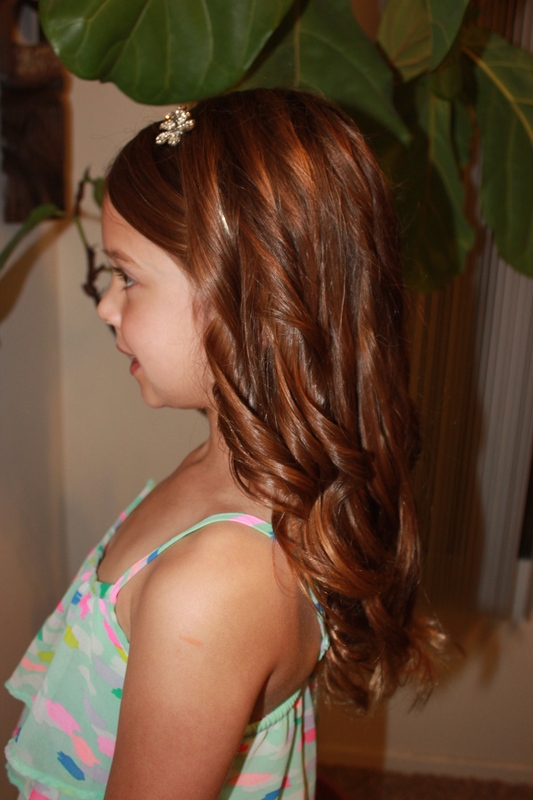 Today I am showing you a simple and sweet hairstyle, modeled by my daughter, that you can have your flower girl or Jr. Bridesmaid wear. I will give you step-by-step instructions in case you aren’t sure what to do, however, It’s very simple. I will be doing more complicated hairstyles as the weeks go on. Here we go. 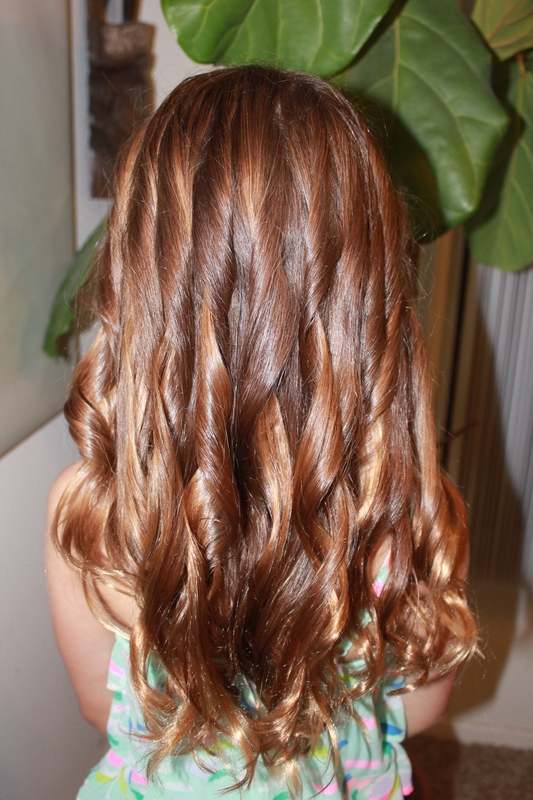 I will list the products that you will need to complete this hairstyle. 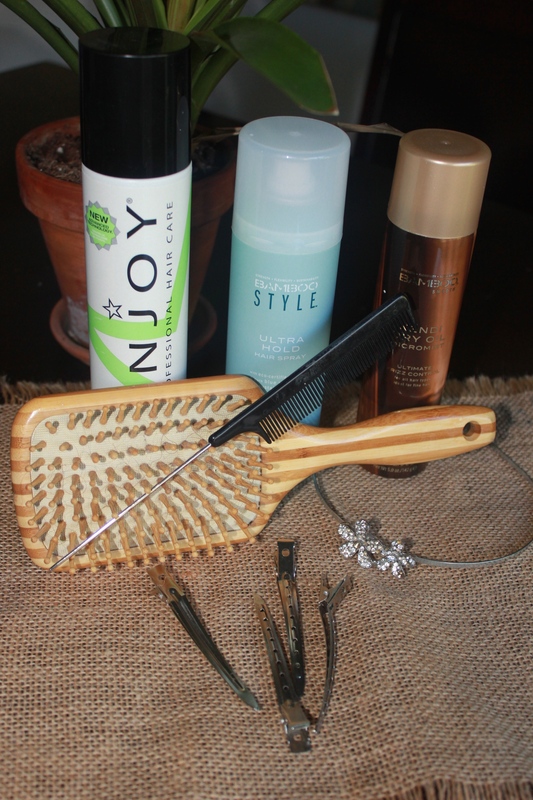 Brush, Comb, Large clips, Thermal setting spray (I use the Enjoy Thermal Spray), hairspray (I use the Alterna Bamboo Ultra Hold), a finishing spray (I use the Alterna Bamboo Kendi Dry Oil), and a hair accessory. Now that you have all your products, let’s get started! Step 1: Brush out the hair so there is no tangles. Step 2: You are going to start sectioning off the hair into smaller areas. This makes it easier to work with as well as making sure you are getting all the hair. I start off and make two sections in the front. Starting in the center on the top of the head, drag your comb with the skinny end all the way to the back of the ear. Grab that hair and twist it up and hold with a clip. Do the same with the other side. Step 3: Now you will section off the rest of the hair. Depending on how much hair they have, you will need about 3-4 clips for the back. I always start with the top and work my way down. You can do whatever works best for you. I start near the top of the crown of the head and start at one side the head and drag my comb to the other side. I keep doing this until I have sectioned all my hair into workable areas. Step 4: Now to start curling. I always start at the the undermost hair section. I unclip that section and I start off by spraying the hair will the thermal spray. This will protect the hair as well as define the curl. You don’t want to spray too close to the hair; stay at least 6-8 inches away. Continue this with all the sections. Step 5: You should now be completely done curling all the sections. Make sure you spray one more time with the thermal spray, at least 8-10 inches away over the entire head. Step 6: Now to style! 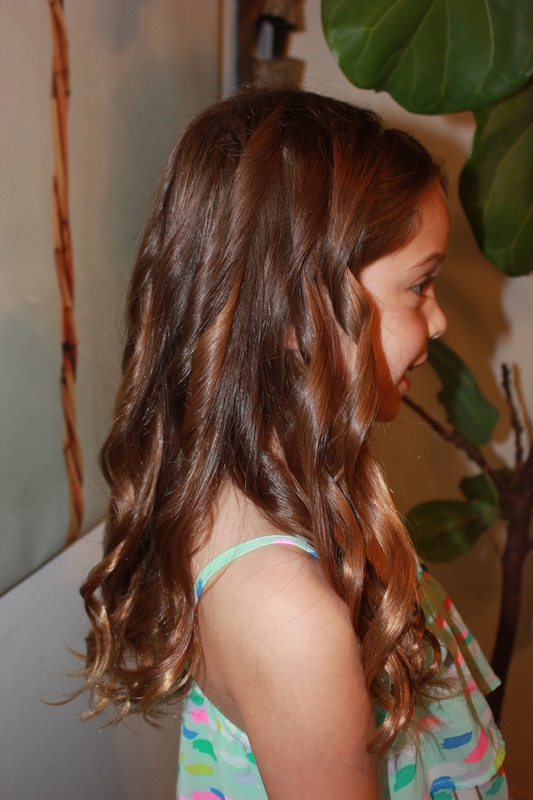 You can do lots of styles once the hair has been curled, but today, we are going to keep it simple. Once the curls have cooled, I gently ran my fingers though the hair to break up the curls just a little after I sprayed with my dry oil. You don’t need a lot of this. Spray the entire head and then run your fingers through to create shine and tame any frizz that you may have. Step 7: Add you hair accessory. This time I just added my Simple and Sparkle Headband. Check out my post from yesterday about how to make your own! That’s it! Your simple look is complete. Perfect for any wedding or special occasion.